The Society for Military History is a United States-based international organization of scholars who research, write, and teach military history of all time periods and places. It includes naval history, air power history, and studies of technology, ideas, and homefronts. It publishes the quarterly refereed Journal of Military History. The George Washington Book Prize was instituted in 2005 and is awarded annually to the best book on the founding era of the United States; especially ones that have the potential to advance broad public understanding of American history. It is administered by Washington College’s C.V. Starr Center for the Study of the American Experience; it is sponsored by Washington College in partnership with the Gilder Lehrman Institute of American History and George Washington’s Mount Vernon. At $50,000, the George Washington Book Prize is one of the largest book awards in the United States. Prestatyn is a seaside town and community in Denbighshire, Wales. Historically a part of Flintshire, it is located on the Irish Sea coast, to the east of Rhyl. At the 2001 Census, Prestatyn had a population of 18,496, that increased to 18,849 at the 2011 census. Chester is a walled city in Cheshire, England, on the River Dee, close to the border with Wales. With a population of 118,200 in 2011, it is the most populous settlement of Cheshire West and Chester, which had a population of 332,200 in 2014. Chester was granted city status in 1541. 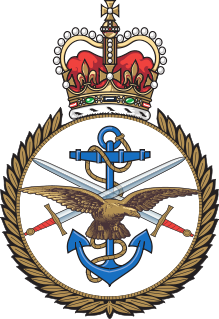 Joint Services Command and Staff College (JSCSC) is a British military academic establishment providing training and education to experienced officers of the Royal Navy, Army, Royal Air Force, Ministry of Defence Civil Service, and serving officers of other states. Shrivenham is a village and civil parish in the Vale of White Horse, England, about 5 miles (8 km) southwest of Faringdon. The village is close to the county boundary with Wiltshire and about 7 miles (11 km) east-northeast of Swindon. The 2011 Census recorded the parish population as 2,347. A sapper, also called pioneer or combat engineer, is a combatant or soldier who performs a variety of military engineering duties such as breaching fortifications, demolitions, bridge-building, laying or clearing minefields, preparing field defenses, as well as working on road and airfield construction and repair. They are also trained to serve as infantry personnel in defensive and offensive operations. A sapper's duties are devoted to tasks involving facilitating movement, defence and survival of allied forces and impeding those of enemies. The term "sapper" is used in the British Army and Commonwealth nations, Polish Army and the U.S. military. The phrase "sapper" comes from the French saper. The Royal Monmouthshire Royal Engineers (Militia) is the most senior regiment in the British Army Reserve, having given continuous loyal service to the crown since 1539. It is part of the reserve forces, and is the only remaining Militia unit in the British Army. The Royal Welch Fusiliers was a line infantry regiment of the British Army and part of the Prince of Wales' Division, founded in 1689 shortly after the Glorious Revolution. In 1702, it was designated a fusilier regiment and became The Welch Regiment of Fusiliers; the prefix "Royal" was added in 1713, then confirmed in 1714 when George I named it The Prince of Wales's Own Royal Regiment of Welsh Fusiliers. After the 1751 reforms that standardised the naming and numbering of regiments, it became the 23rd Foot. Latimer died following a heart attack in January 2009. His book, Buccaneers of the Caribbean: How Piracy Forged an Empire was published posthumously in April 2009. Haematoxylum campechianum is a species of flowering tree in the legume family, Fabaceae, that is native to southern Mexico and northern Central America. The tree was of great economic importance from the 17th century to the 19th century, when it was commonly logged and exported to Europe for use in dyeing fabrics. The modern nation of Belize developed from 17th- and 18th-century logging camps established by the English. The tree's scientific name means "bloodwood". The Western Desert Campaign, took place in the deserts of Egypt and Libya and was the main theatre in the North African Campaign during the Second World War. The campaign began in September 1940 with the Italian invasion of Egypt; Operation Compass, a British five-day raid in December 1940, led to the destruction of the Italian 10th Army. Benito Mussolini sought help from Adolf Hitler, who responded with a small German force sent to Tripoli under Directive 22. The German Afrika Korps was under nominal Italian command but Italian dependency on Nazi Germany made it the dominant partner. Anthony Thomas Grafton is one of the foremost historians of early modern Europe and the current Henry Putnam University Professor at Princeton University. He is also a corresponding fellow of the British Academy and a recipient of the Balzan Prize. From January 2011 to January 2012, he served as the President of the American Historical Association. A paradummy is a military deception device first used in World War II, intended to imitate a drop of paratroop attackers. This can cause the enemy to shift forces or fires unnecessarily, or lure enemy troops into staged ambushes. Operation Cascade was the codename for an Allied military deception operation during the Western Desert Campaign of World War II for North Africa. Operation Cascade was one of the first successful Allied deception operations in World War II, and provided valuable experience for later operations. Edward Morgan was a Welsh politician and became the Deputy Governor of Jamaica in 1664, after the Restoration of the monarchy under Charles II. His daughter, Mary, married his nephew, the celebrated privateer Henry Morgan. Lieutenant Colonel Victor Harry Jones OBE was a British intelligence officer and "visual deception" expert during the Second World War. First serving with the 14th/20th King's Hussars in the First World War, he made a name for himself during the North African Campaign of the Second World War by using dummy tanks to mislead the enemy. In 1941 he was transferred to A Force in Cairo, under Dudley Clarke, to continue deception operations on a larger scale. Robert Hunt was an English soldier who was Governor of the Providence Island colony in the western Caribbean sea from 1636 to 1638. Ruy Fernández de Fuenmayor was a Spanish soldier who was governor of Venezuela Province between 1637 and 1644. Francisco de Murga y Ortiz de Orué was Spanish soldier and engineer who became Governor and Captain-General of Cartagena. He was governor of Marmora in Africa when he was appointed to fortify the plaza of Cartagena. He was a knight of Order of Santiago. He died in 1636. The British Middle East Command Camouflage Directorate organised major deception operations for Middle East Command in the Western Desert Campaign of the Second World War. It provided camouflage during the Siege of Tobruk; a dummy railhead at Misheifa, and the largest of all, Operation Bertram, the army-scale deception for the decisive battle of El Alamein in October 1942. The successful deception was praised publicly by Winston Churchill. Joseph d'Honon de Gallifet was a French aristocrat and colonial administrator. He served as the Governor of Saint-Domingue from 1700 to 1703, and the Governor of Guadeloupe from 1703 to 1706. Gallifet dealt with the reality of buccaneers as soon as he arrived in Saint-Domingue. Michel le Basque was a pirate and flibustier from the Kingdom of Navarre in the southwest of France. He is best known as a companion of François L'Olonnais, with whom he sacked Maracaibo and Gibraltar. James Browne was a Scottish pirate and privateer active in the Caribbean. He is best known for his hasty execution and the effects it had on colonial Jamaican government. George Spurre was an English pirate and buccaneer. He is best known for sacking Campeche and for joining a large buccaneer force which captured Veracruz. Edward Neville was an English buccaneer and pirate. He is best known for joining George Spurre to raid Spanish Campeche. Juan Corso was a Corsican pirate and guarda costa privateer who sailed in Spanish service, operating out of Cuba. ↑ "Tribute to 'inspirational' author". BBC News. 6 January 2009. Retrieved 6 January 2009. "Obituary". The Times . London. 16 January 2009. 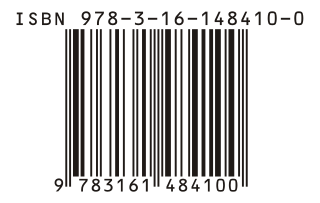 Retrieved 16 January 2009.